Aluminum circle is also another typical product of Haomei Aluminum, just like aluminum sheet, aluminum coil and aluminum strip. Aluminum discs have wide application of kitchen utensils, lamps, aluminum tank, liquid nitrogen cans, medicine tank and so on. 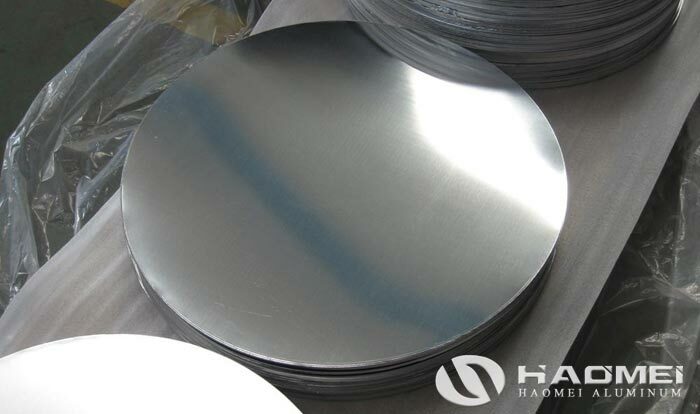 According to the different processing technology, we Haomei aluminum supply 1 series and 3 series aluminum circle blanks. Why does aluminum circles have so widely application? We have found some outstanding features. First of all, the weight of the aluminum metal is light and the corrosion resistance is strong. These two points are the most remarkable features of the aluminum circle. It has a small density and light weight, so it is widely used in the kitchen cookware, lamp cover and traffic signs. In addition, the high level industries such as spaceships and satellites have also used a large number of aluminum alloys. Secondly, it has excellent electrical conductivity. Its conductivity is weaker than that of gold, silver and copper. However, because of its large reserves and small density, it is only 1/3 of copper. Therefore, the weight of aluminum is only half of that of copper when transporting the same amount of electricity. Besides, the surface oxide film of aluminum circle not only has the ability of corrosion resistance, but also has a certain degree of insulation. Therefore, aluminum disc circle has a very wide range of applications in the electrical manufacturing industry, wire and cable and radio industry.